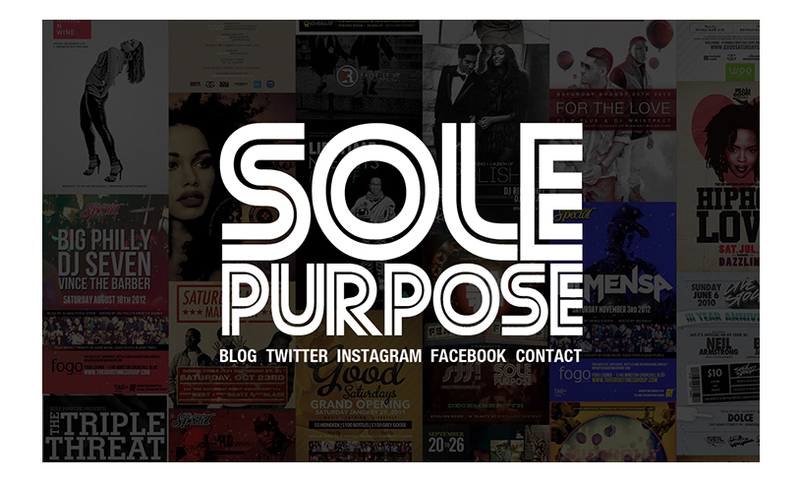 An identity for Toronto based Clothing and Entertainment company, Sole Purpose. 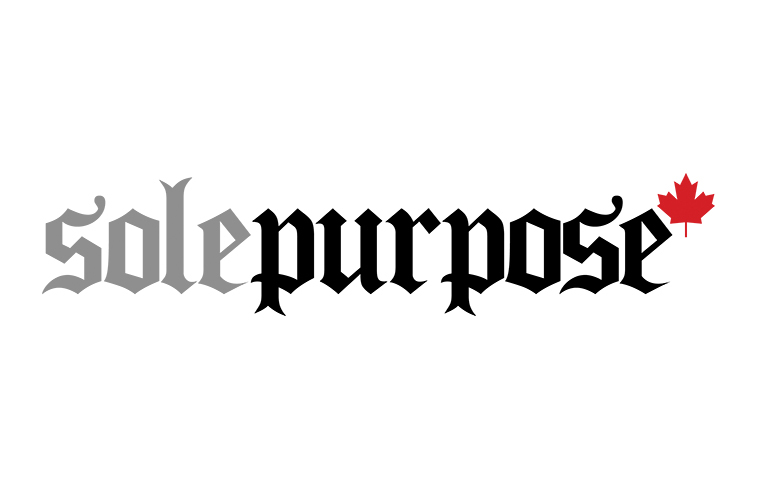 Committee Design was asked to develop a clean identity that could be used for all facets of the Sole Purpose company. We decided to give it a classic old english treatment, along with a little something to show everyone where Sole Purpose called home. A splash page for Big Philly of Sole Purpose. We were asked to develop a splash page for Big Philly that could also redirect visitors to his many outlets on the web. To keep everything consistent with his new Sole Purpose identity, we gave all of the corporate logo's a nice blue facelift. 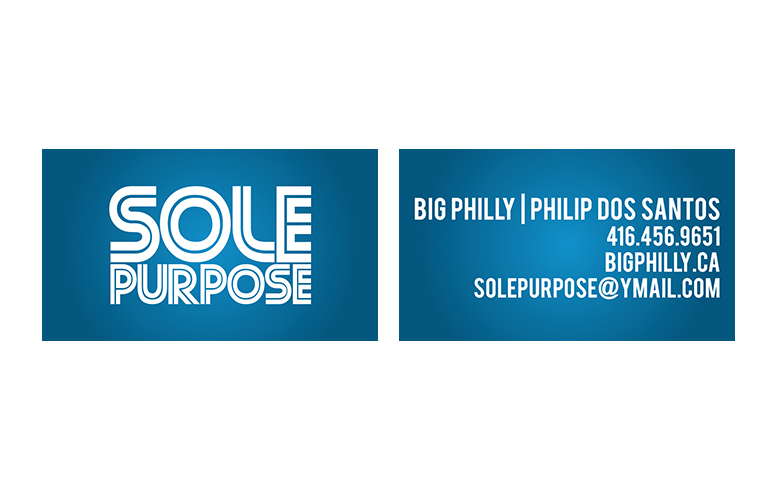 A business card for Big Philly of Sole Purpose. 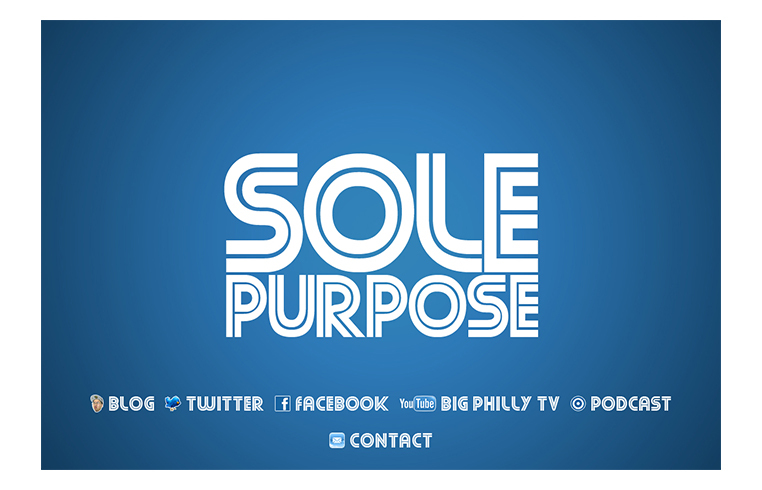 Big Philly asked us to redesign a new set of business cards to accompany the recent re-branding of his Entertainment company, Sole Purpose. An identity and flyer for Sole Purpose's fundraiser, Raise It Up. With parts of Asia being severely affected by Ketsana, Big Philly stepped in and organized 'Raise It Up', an event designed to reach out to all individuals in the community who wish to give to those in need, regardless of their race, colour, creed or nationality. 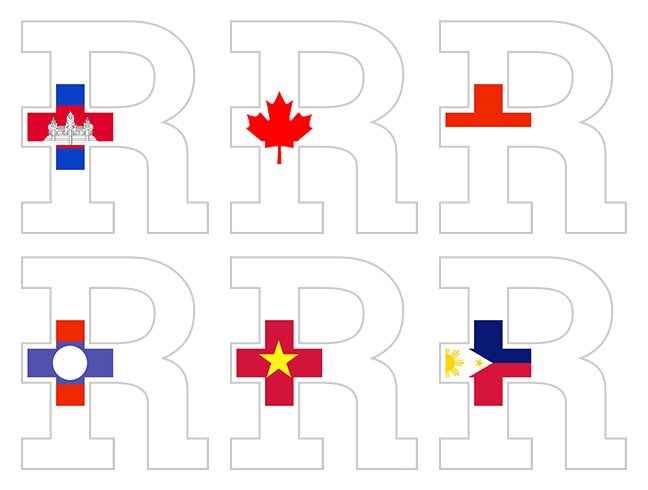 We created an identity for 'Raise It Up' that would speak for itself, utilising a red cross along with alternate versions that included the national flags of all countries affected by Ketsana. We linked all of those together in the background in repesentation of what 'Raise It Up' stands for. 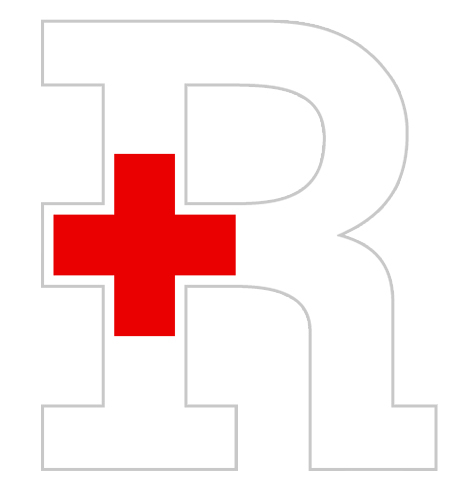 Having raised over $2200 with all proceeds going to The Red Cross and Global Medic, Toronto made this a huge success. 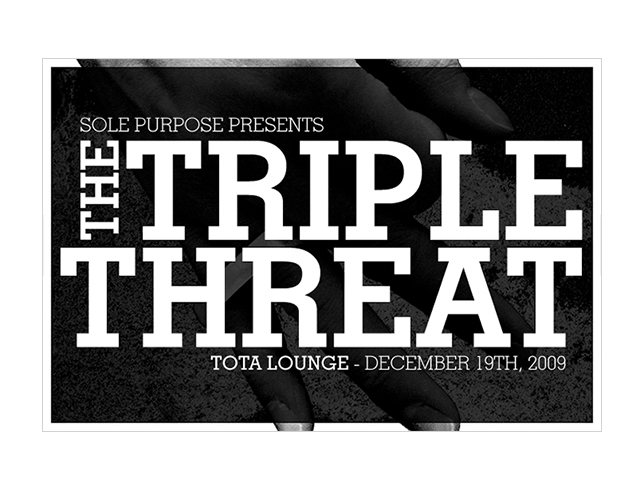 A flyer for Sole Purpose's one-off party, The Triple Threat. 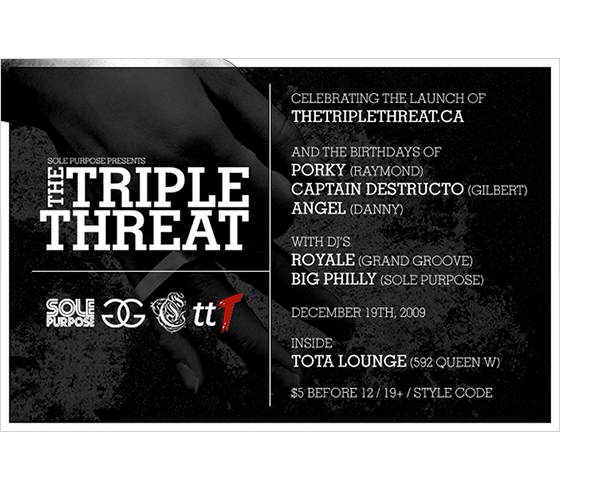 To celebrate the launch of Toronto's latest online (and soon to be brick and mortar) streetwear boutiques, The Triple Threat, Big Philly asked us to design a flyer for an event under the same name. We kept it real street with this one with the use of a Surface To Air 'A' ring, three fingers and a gritty background. Having been a number of years since I first designed Big Philly's splash page, it was time to give it a bit of a facelift.